Will we be able to make our own animations? I wouldn’t say never but UGC avatar animations aren’t being worked on right now, we would be moderating any user animations for content before allowing them to be sold. Avatar animations are now released on the website. You can buy a package of them in the catalog! How many more can we expect, and of what kind (normal, exotic like the current animations, or a mix of both)? Is there an estimated timeline for their release that you’re able to share? 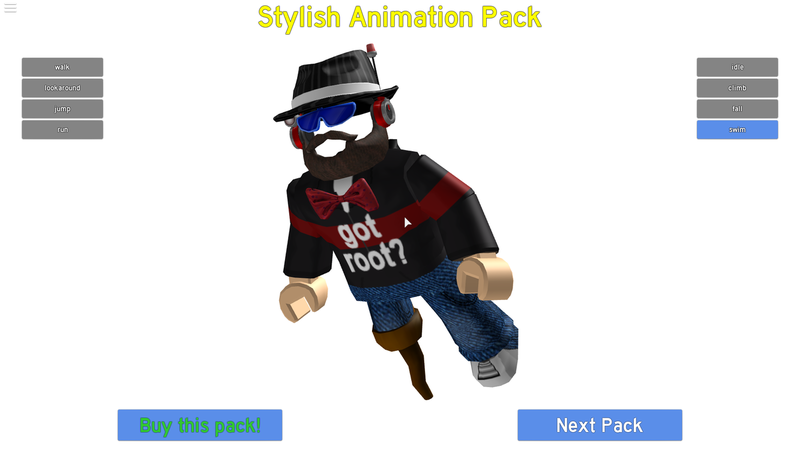 Also, is there a plan to add a category specifically for animation packs, so that it’s possible to find packages without searching for “animation pack”? Will certain animations be sold separately in the future? 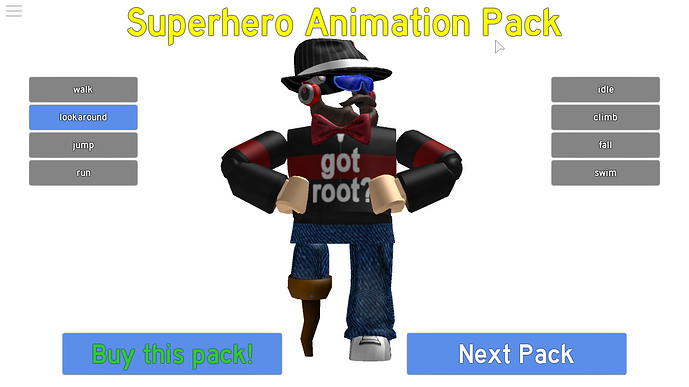 I do like the current packs but I don’t know if I want to spent 1KR$ on the whole Levitation pack. I think this is actually a bug with discord. All the video’s recently have been like this. I made a place that lets you preview and buy animations. It’s nearly impossible to climb using the robot animation pack. We’re currently aware of this issue. 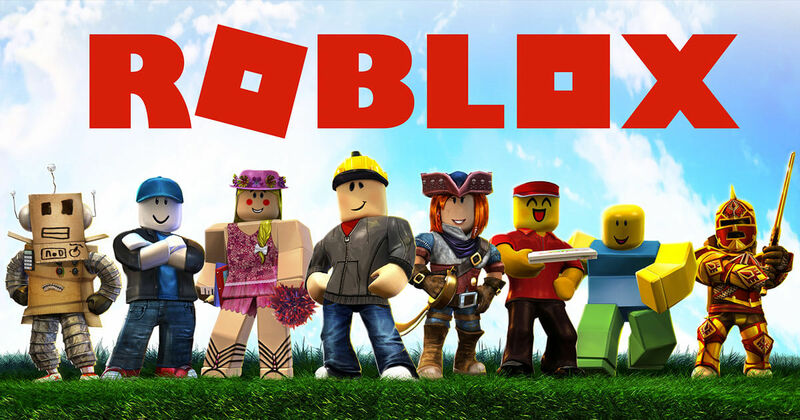 Try using a different package for now (Blocky or ROBLOX Boy). The package size affects this behavior at the moment. Even walking up steps is difficult in some packages. Edit: I’m hoping there’ll be more like different ones for the dance emotes? Right now we are not planning on selling them individually, but this is a possibility in the future. To prevent animations being replaced in your game, you should replace the default Animate script in StarterCharacterScripts with a script that does not reload the animations based on changes to the child StringValue objects of the Animate script. I did a very unneeded way to fix this, but for the time being this is how I fixed loading the default set of animations. How much is this earning you from commissions? I’d imagine the levitation animation could be pretty gamebreaking in certain places. Imagine a game where you aren’t allowed to touch the floor, but can just hover over it.